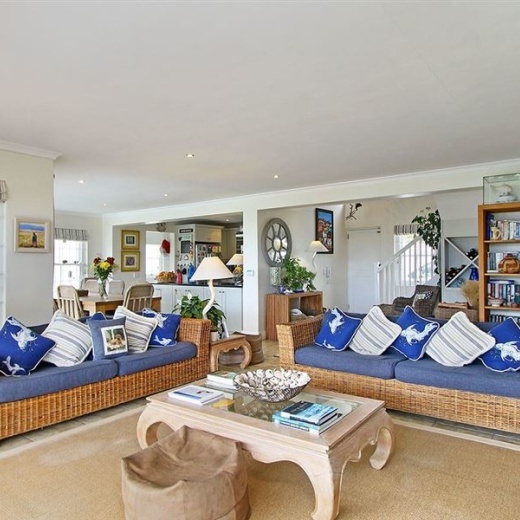 This charming and beautifully decorated villa on the sea is a private and comfortable 4 bedroom villa with lovely views from the upper level making t his an ideal villa to spend your holiday in Cape Town. 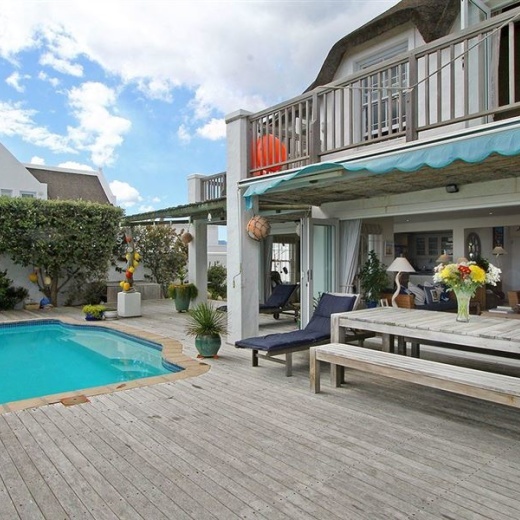 It is located in a prime position with great access to famous Long Beach. The villa focuses on entertaining with an open plan kitchen, living area and dining room that leads onto the outside terrace. There is a gorgeous garden and pool area. In the summer open up the patio doors and enjoy the majestic views and fresh sea breeze! Every room in the house is spacious and is beautifully decorated and thought out. All the bedrooms are en-suite boasting sea views. There is off street parking for 2 cars.